As Academy Director, Jody Young provides professional coaching and oversight to all of our Academy Staff. Young brings over 10 years of coaching experience for various ages to the Academy program at SCSA. Young began his coaching career while attending college at Olivet Nazarene University in Bourbonnais, IL where he earned his degree in Health and Physical Education and played on the Varsity Soccer Team. During his time in Illinois, Young served as the head coach of the varsity soccer program at Wilmington High School and also coached at the club level for various age groups at Southland FC. 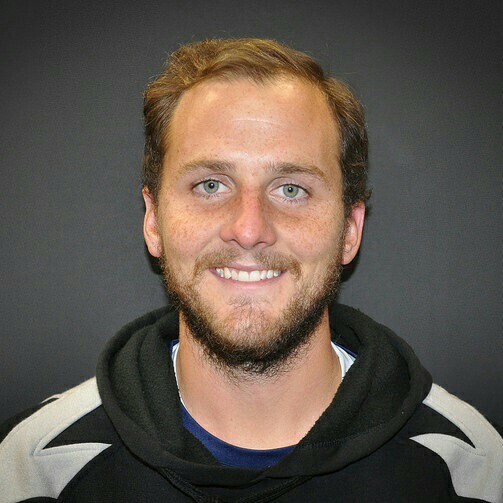 Most recently, Young served various roles at High Country Soccer Association in Boone, NC. Young was first hired as a Technical Director and served that role for 3 years. He then filled the position as the Director of Coaching for 1 year. While there, he oversaw the day to day operations of the club and managed all of the youth programming for HCSA. 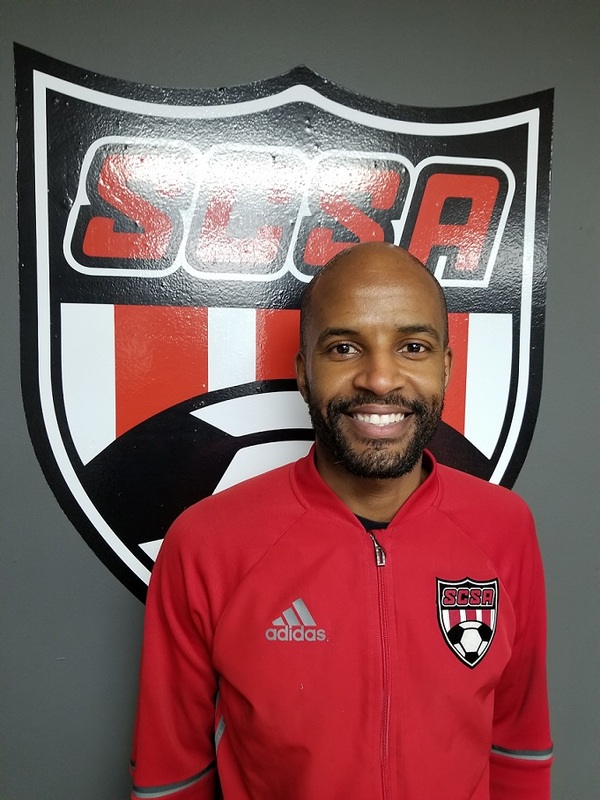 Coach Phalo joins the Academy staff for the 2018/19 season after 4 years with SCSA in the Rec and Travel programs. After playing for Bloomington High School South, Coach Phalo was a student manager with the IU Men's Soccer team. 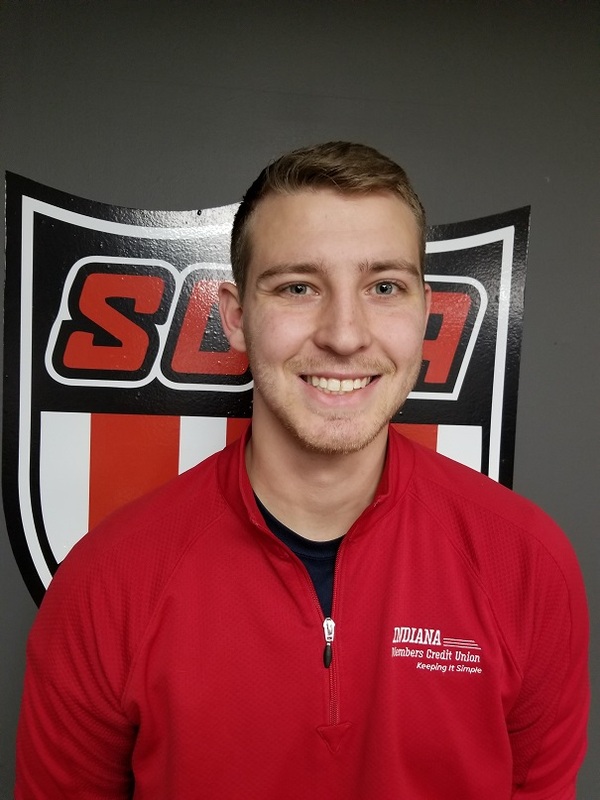 His coaching experiences include: the JV Team at Bloomington High School South, IU Women's Club Soccer Team, the Academy program at Bloomington Cutters, and SCSA U11/U12 Travel teams. Coach Phalo's passion for the game and player development make him an exciting addition to our Academy Staff. Coach Kelsie brings a wealth of knowledge and even more energy to our academy coaching staff. Raised in Columbus, IN coach Kelsie played for Columbus Express growing up and continued her playing career at IPFW in Fort Wayne, IN. After graduating Kelsie returned to Columbus where she began her coaching career. 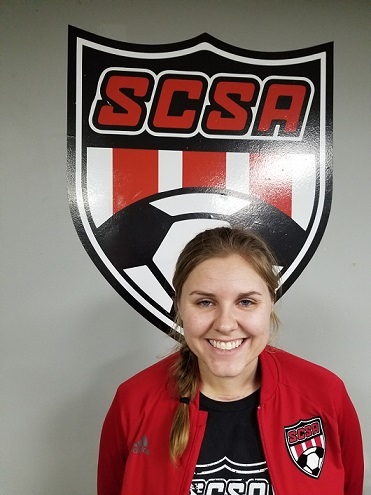 Kelsie is now in her 3rd year of coaching for the Academy program at SCSA. Her experience, knowledge, and energy make her an amazing addition to our academy coaching staff. 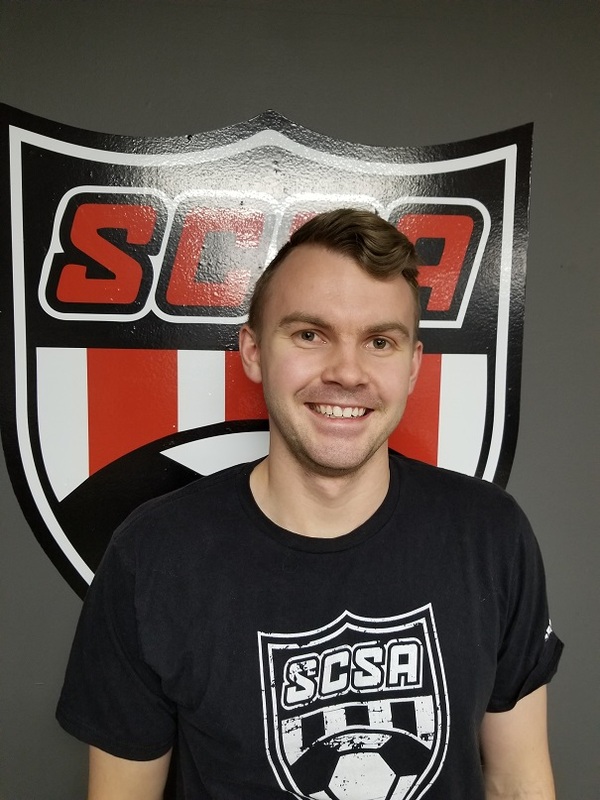 Coach Ben is now in his second year with the Academy program at SCSA. Ben has a special place in his heart for SCSA seeing as he has grown up playing or the club and in the area and now gets to give back through coaching in the academy. Ben was a product of Center Grove Soccer Association as well as Center Grove High School. He continued his playing career at Hanover College where he helped Panther win their first conference championship as well as an NCAA Tournament bid. 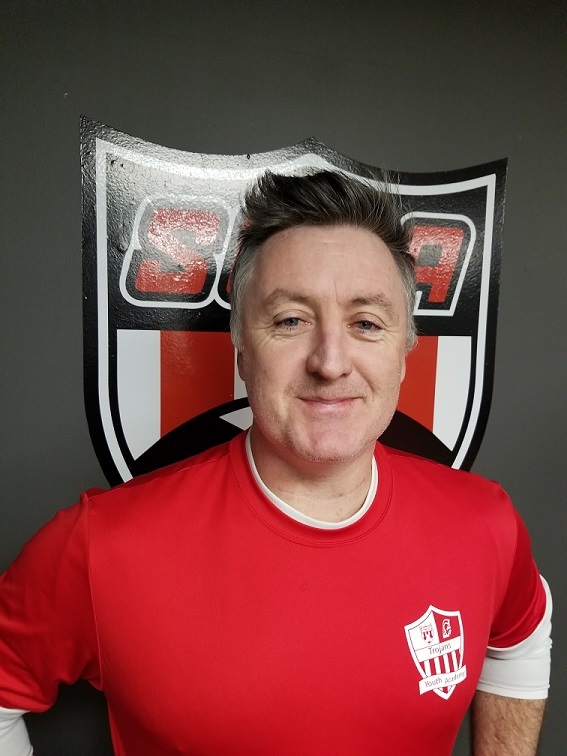 Coach Gavin is in his first year with the SCSA Academy program for the 2018/19 season, but it isn't his first year coaching. Gavin has served as a coach for several teams including the Center Grove High School team where he served as assistant coach. During his time there he was able to mentor players and further the Center Grove soccer program. During his time coaching he also served as a coach for our very own coach Ben! During his playing career Gavin played for Franklin College for 4 years. He hasn't hung up the playing boots yet, though. Gavin is still an avid soccer player in several adult leagues around the greater Indianapolis area and still has a passion for the game of soccer whether he is coaching or playing. Coach Corey enters his first year with the SCSA Academy for the 2018/19 season. Corey has served as a coach in different capacities throughout the years at the rec level and the high school levels. Corey's natural position growing up was a goalkeeper which gives our coaching staff a good variety of knowledge for field players and goalkeepers. Although he specializes with goalkeepers, coach Corey still brings a wealther of knowledge for the game of soccer. When he's not coaching, you can find Corey either on the field with coach Gavin or in front of a TV supporting his favorite English Premier League team, Liverpool. Coach Austin is entering is joining our Academy staff for the first time this Winter and Spring season. This will be Austin's first season coaching and he couldn't be more excited about it! Although Austin may be new to coaching, he has plenty of experience with the game of soccer. Having played growing up in various leagues, he spent most of his youth career playing with USF Real in Greenfield, IN and his high school career at Warren Central. After graduating Austin continued his playing career at Marian University. Coach Austin brings a wealth of knowledge to our coaching staff and also gives us some expertise on goalkeeping, as that is his natural position as a player. Coach Austin will be working towards his coaching licenses this Winter through USSF. We're so excited to have this new addition to our staff and know he will do a fantastic job developing young soccer players and young men and women. 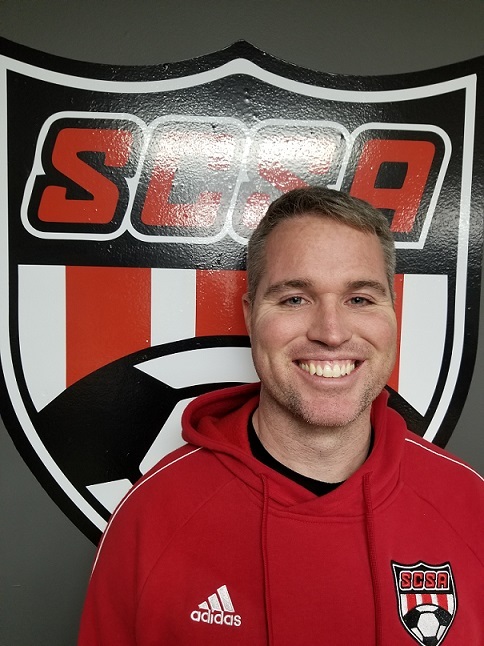 Coach Joey is a brand new addition to our SCSA Academy coaching staff for the 2019 Spring season. Coach Joey has been an avid soccer player from his days as a youth and continues to play today with several coaches within our club. Joey began his coaching career at St. Francis where he served as the coach for both of his sons, Colton and Landon. After coming to SCSA he continued to serve as a coach and has been a great addition to our coaching staff on the Academy. 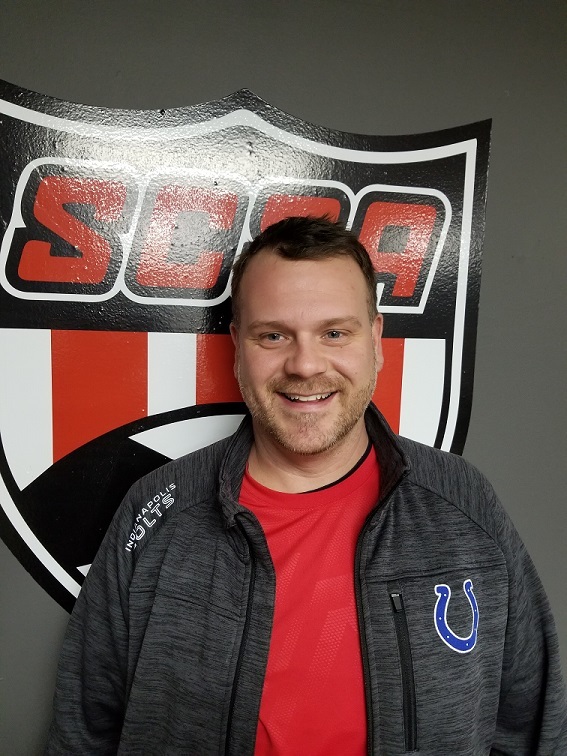 He has a passion for the game and wishes to pass it on to the next generation to help develop players in the SCSA organization as well as the Indianapolis area. Coach Dan is returning to the Academy coaching staff for the Spring season. When Dan first began coaching at SCSA 5 years ago he was first on the Academy coaching staff, so working with this age group is not new for him. He's excited to get back to his roots and help develop our younger players. Having played soccer growing up, Dan played most of his youth career at St. Francis and continued playing club soccer where he attended college at Xavier. During his college years Dan began his coaching career with some Middle Schools in the area. After graduating Dan joined SCSA where he firs got started in the Academy. After coaching in the Academy for 2 years, Dan moved over to the travel side where he has coached various age groups. He is currently the coach of our U16 Black team and will also be investing time with our Academy Juniors this Winter and Spring.